Love's divine, and roses are too. 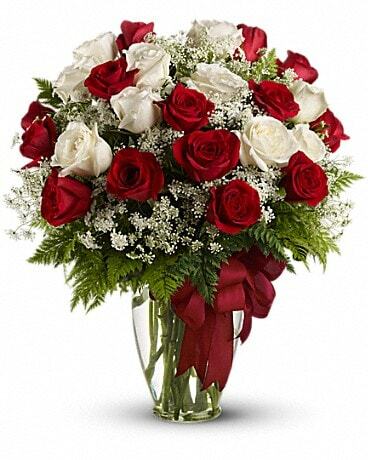 At almost two feet tall, this beautiful mix of 12 red and 8 white roses - accented with Queen Anne's Lace, and adorned with a bold red ribbon - is a timeless gift for your beloved. 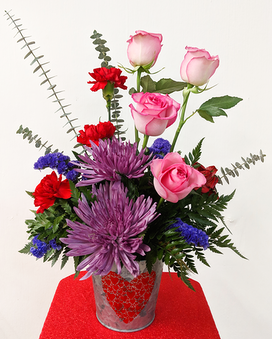 Love's divine, and roses are too. 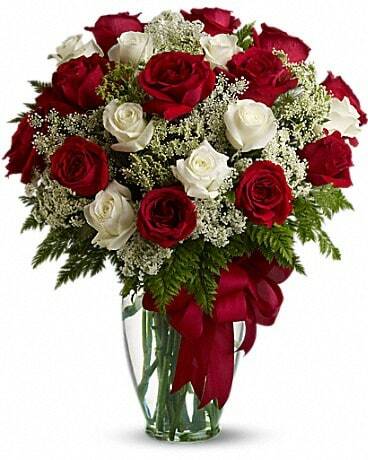 At almost two feet tall, this beautiful mix of 14 red and 10 white roses - accented with Queen Anne's Lace, and adorned with a bold red ribbon - is a timeless gift for your beloved. Love's divine, and roses are too. 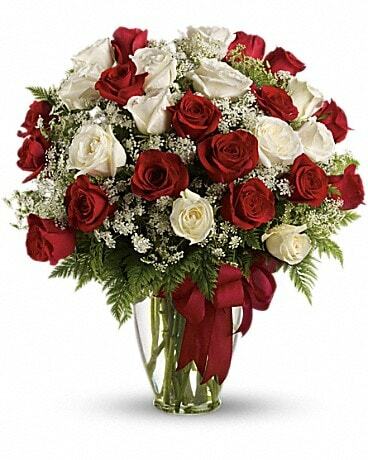 At almost two feet tall, this beautiful mix of 16 red and 12 white roses - accented with Queen Anne's Lace, and adorned with a bold red ribbon - is a timeless gift for your beloved.